Ever since The Weinstein Company announced its upcoming historical drama The Current War—starring Benedict Cumberbatch as Thomas Edison, and Michael Shannon as his rival George Westinghouse—we’ve been waiting to hear who’d be tapped to play the electrical dark horse of the early 20th century: Nikola Tesla. 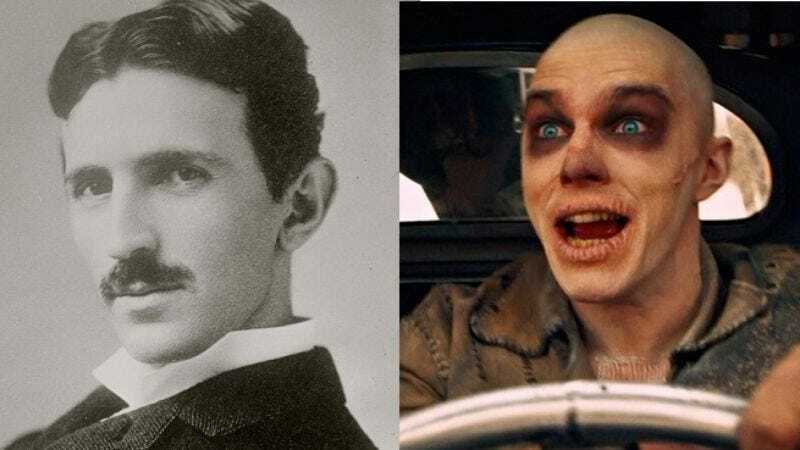 Not only was Tesla a noted eccentric with an underdog story and a mad scientist’s flair for weird inventions, but he’s also the member of the trio who’s been most notably portrayed on film, with David Bowie giving a memorably understated performance in Christopher Nolan’s The Prestige. The Current War is being directed by Alfonso Gomez-Rejon. Meanwhile, a second film based around the bitter conflict between Edison and his rivals—Eddie Redmayne’s The Last Days Of Night—is also currently in the works.